Prokofiev is considered to have been one of the leading composers of the 20th century. 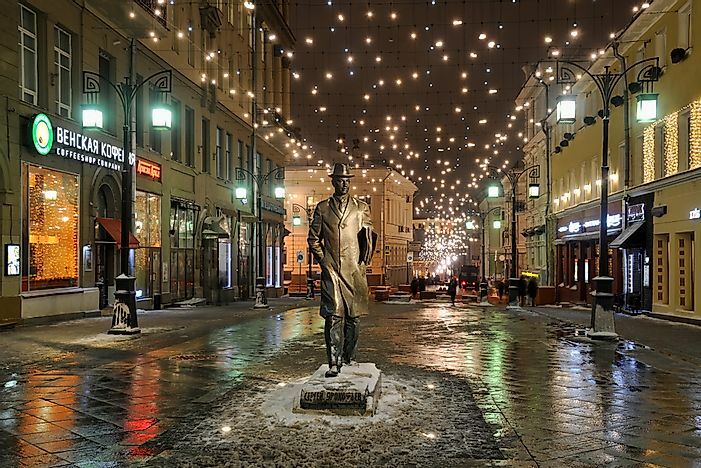 A statue of Sergei Prokofiev in Moscow. Editorial credit: Arthur Lookyanov / Shutterstock.com. Sergei Prokofiev is considered one of the best music composers of the 20th century alongside other famous composers. Prokofiev was born in 1891 in a small town called Sontsovka in Ukraine. At the time of his birth, the country was under the Russian empire. His father's name was Sergei Alexeyevich Prokofiev and he was an agronomist while the mother, Maria (née Zhitkova), was from an arts and theatre family. Prokofiev’s love for music and art was significantly contributed to by his mother. When he was young, his mother often played the piano. Watching his mother play the piano made him develop an interest, and at the age of five, he started taking lessons from his mother on piano. It was also at the age of five when Prokofiev wrote his first piano composition, and from there, his musical journey developed. Sergei Prokofiev began his career at a young age of five, and from there, his success started. Although his parents did not want to expose their son to the world of music at a young age, his passion for it made them reconsider. They took him to musical schools where he learnt how to play the piano, keyboard, and the organ. It was after the death of his father that Prokofiev began making a name for himself through his performances in both Russia and other countries. He traveled out of the state a lot to perform, and it is in one of his travels that he went for a concert in the Soviet Union. One of the significant contributions of Sergei Prokofiev, which people still acknowledge century's later, is the fact that Sergei wrote for ballets used in shooting the famous Romeo and Juliet movie. The movie is played in movie theaters and is known by everyone so Sergei’s name is attributed to that bestselling show. Most of the songs Prokofiev wrote in the 19th century are still being played today in musical concerts and theaters. He is a significant name when talking about piano music in the world. The primary challenges Sergei Prokofiev faced were World War 1 and 2. This turn of events made Sergei move from one refugee home to another which disrupted his career. Sergei made a name for himself in the United States and when it was time for him to return to Russia, he had to start fresh in making something out of himself. Sergei suffered from cerebral illness and on March 5, 1953, he passed away in Moscow at the age of 61. He was an atheist and during his burial everything was conducted according to the atheist's beliefs and customs. Sergei Prokofiev is celebrated today as a profound musical genius and his music receives appreciation to date.